Now that Hillary Clinton is about to become the Democratic nominee to take on Donald Trump, let’s examine why so many voters claim they dislike and distrust her. It was not always so. When Clinton was secretary of state from 2009 to 2013, she hit a high of 66 percent favorability rating and was consistently voted the most admired woman in the world. When New Yorkers elected Clinton to the US Senate, she had small hurdles to overcome, but gender was not one of them. We are used to electing female senators and have seen them succeed. As a New York senator, her favorability was 58 percent. Today her favorability is 38.2 percent. What happened? She is the same woman as she was three years ago. She has not changed her genome, her values, or her vision for America. What has changed is that she has emblazoned the word “ambition” on her forehead by declaring that she wants to be president. When women leaders step into territory traditionally occupied by men, something odd happens, according to research by Victoria Brescoll, a social psychologist at the Yale School of Management. Brescoll cites a case in which a male police chief made a mistake managing protesters and compares his favorability with a female police chief in the identical situation. His mistake cost him a 10 percent loss in favorability; she plummeted 30 percent. We expect a great deal from a female candidate for president. It’s called perfection. The slightest stumble is magnified ten-fold. Compare Clinton’s e-mail carelessness with any of Trump’s deliberate false activities with Trump University, his bankruptcies, and the complaints from his vendors who still are waiting to be paid. Men wear imperfection comfortably. Some voters are incredibly forgiving of male politicians’ mistakes. “Boys will be boys,” but girls must be goddesses. 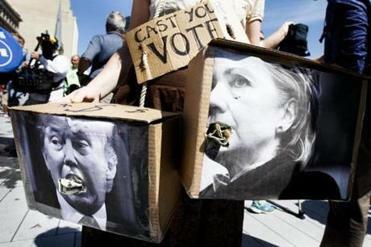 It’s easy to find compelling reasons to dislike both Donald Trump and Hillary Clinton. Women are almost as susceptible to subconscious gender bias as men. We have to check ourselves so that we don’t fall into the trap of expecting the impossible from Clinton. Such as those who say they will not vote for Clinton, but will wait to vote for another woman. Believe me, any woman who is the first woman will be put to a similar litmus test because she is stepping into male territory. As Clinton battled to win the most votes and delegates to earn the Democratic nomination, she had to be a fighter to prove that she is qualified to hold the toughest job in the world. But a self-promoting woman who raises her voice is rarely attractive. Studies have shown that when a woman shouts, she is considered a scold. When a man raises his voice, he is passionate, strong, and authentic. Men like Trump can deviate from the customary political game and get away with it. Women are inclined to be caught in the middle. They must play the game by the old rules, but be ready to toss them out. 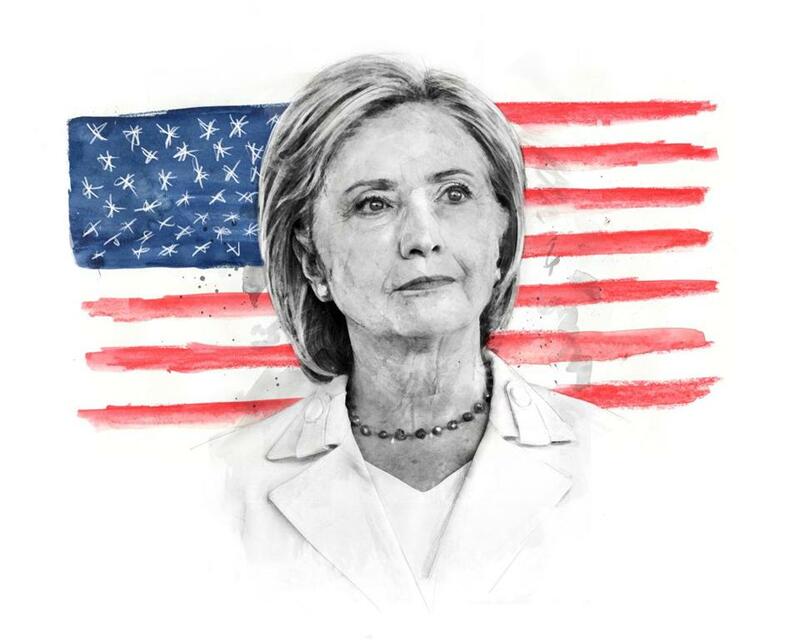 It is ironic that nominating the first woman for the presidency will mark a political sea change, but simultaneously, Clinton has become a victim of perceived politics as usual. In other words, she does not look like a man. Right. That may not be a bad thing, after all.